A creative collaboration of The Poppet Witch and Docteur Caeli D'Anto, these complete kits incorporate the vast expanse of poppet and voodoo doll tradition. 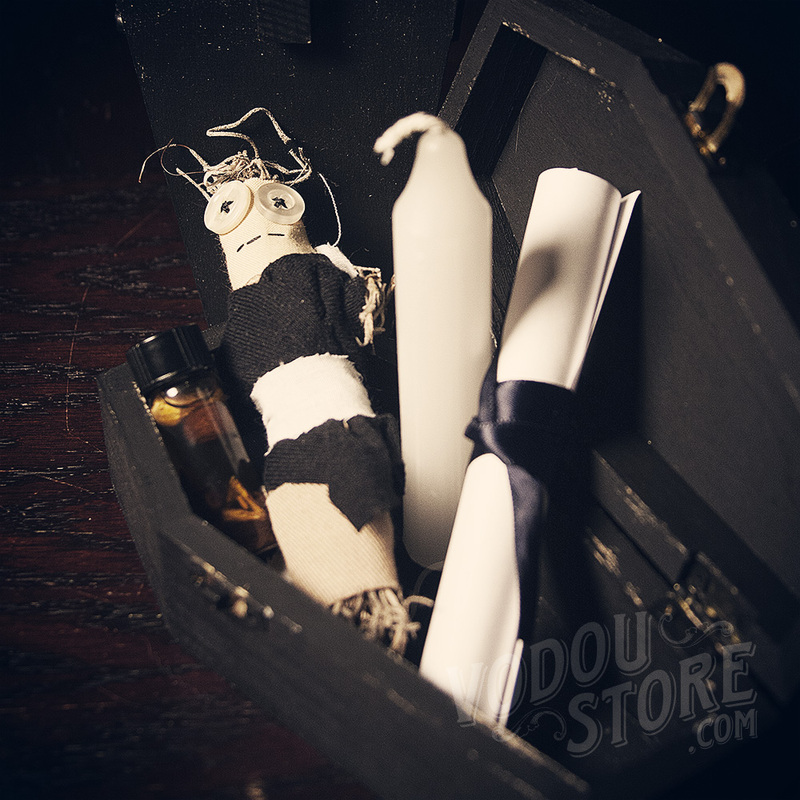 Included is a wooden coffin with a handmade and consecrated voodoo doll, a candle, a hand blended purpose oil, pins, and a complete and authentic spell with instructions suited to your needs! NOTE: Because these Voodoo dolls are hand-made, shapes and sizes will vary.